This new pathway is a considerable change for the medical device industry. On February 1, 2019, FDA issued the Safety and Performance Based Pathway Guidance document, superseding the draft guidance document of April 1, 2018. It applies to CDRH and the Center for Biologics Evaluation and Research (CBER). This new pathway represents a considerable change for the medical device industry, as it shifts substantial equivalency from testing of predicate devices to well established and robust performance testing criteria and methodologies. It also allows for a less burdensome approach for industry and FDA. Expanding on the Abbreviated 510(k) Program for demonstrating substantial equivalence for 510(k) premarket submissions, FDA is identifying certain “well understood” medical devices that may be cleared based on performance criteria. The 510(k) submitters of such devices will no longer need to conduct costly testing on predicate devices as part of the detailed substantial equivalency comparative study. Instead, they must comply with the same performance requirements as the predicate devices. The performance criteria are defined in FDA guidance documents and FDA-recognized consensus standards, as well as special controls (e.g., special labeling requirements). The 510(k) submission remains subject to the same RTA (Refuse To Accept) Policy Guidance, and the new device has the same intended use (i.e., the general purpose of the device or its function) as the predicate device. As FDA builds higher confidence in this process, more medical devices may be added to the eligible list. Relying on standards rather than predicate devices shifts the U.S. medical industry closer to the European regulations. FDA is planning for another major shift, which is to replace 21 CFR 820 with ISO 13485: 2016. A draft guidance document is expected within 2019, and the transition period will likely take few years. 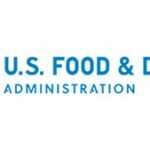 Additionally, FDA recently adopted MDSAP audits to replace FDA inspections (except “For Cause” or “Compliance Follow-up” or PMA-related inspections). Harmonization of medical device regulations allows the medical device industry to focus on unified set of regulatory requirements to comply with, thus reducing costs and increasing efficiencies. The new 510(k) process is a move in the right direction and is a very important piece of a larger effort. The agency’s intent is to decrease regulatory burden while promoting patient access to products. 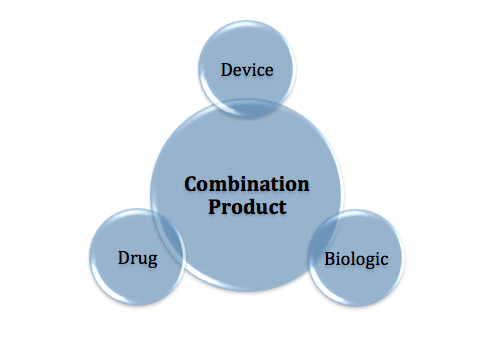 Manufacturers finally have some clarity on which CGMP requirements apply when producing a combination product. Recognizing that additive manufacturing is an emerging technology, the agency is providing an outline of its current thinking about the technical aspects of AM processes. EAS Independent Consultant Jay Mansour is a seasoned medical device regulatory consultant with 20+ years of experience. He has successfully filed more than 100 510(k) clearances across many technologies and assists clients with QMS turnkey projects, including personnel training, validations and CE marking products as well as responding to FDA’s 483 and warning letters.